A Profile of Dr. Sinn’s! The Freaks take to the Sky! 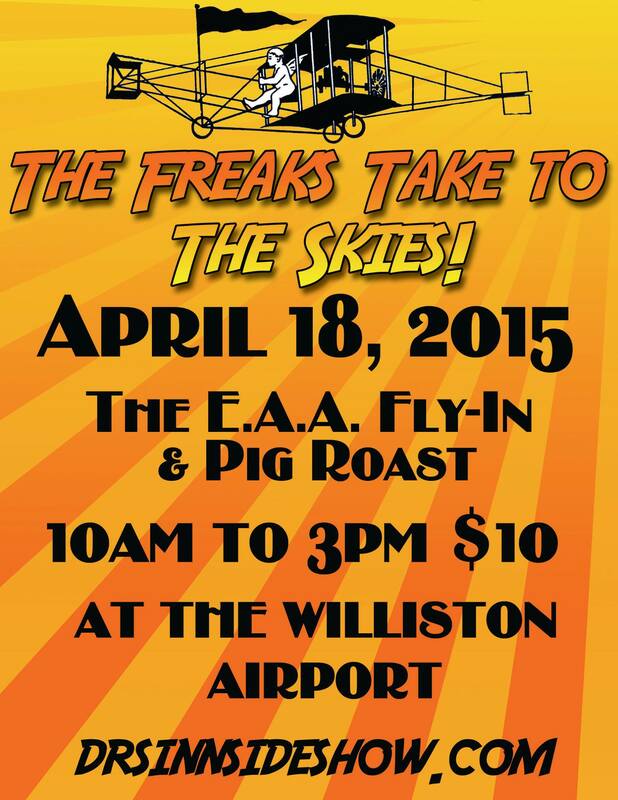 The Experimental Aircraft Association bi-annual Fly-In and Pig Roast is Saturday, April 18 at the Williston Airport, 1800 Sw 19th Ave Williston, FL. Witness all manner of aircraft including a 1940s Biplane or two at the Williston Airport this Saturday, April 18th. Pilots from all over the country will be flying in to enjoy some amazing food followed by some amazing clown antics! style” as you enjoy your lunch. Dr. Sinn’s Freak Island Musical Sideshow!!! A unique event!!! Not to be missed!!!! Family Friendly!!! Contact us with any questions!!! Tickets are available for the re-launch of Dr. Sinn’s Freak Island Musical Sideshow SPECTACULAR! Friday, March 27 and Sunday March 29 at 8 PM. 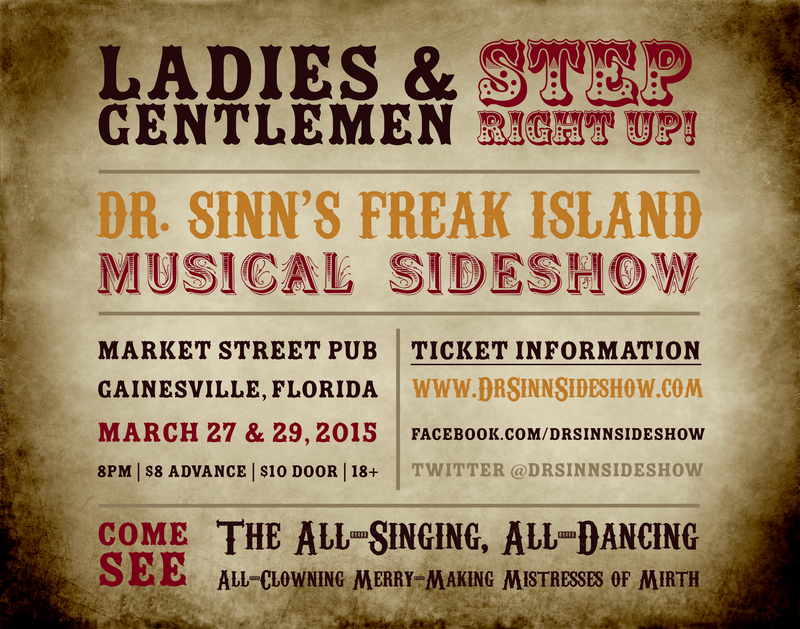 Advanced Tickets Available NOW for Dr. Sinn’s Freak Island Musical Sideshow SPECTACULAR! 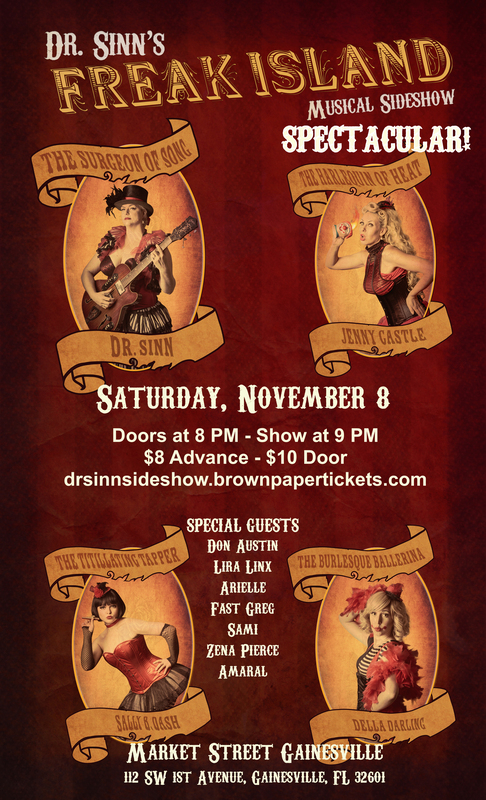 Pre-sale Tickets available at drsinnsideshow.brownpapertickets.com!